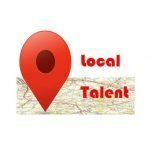 Local Talent Workshop Series: Local experts share their knowledge! Our Local Talent series features a variety of experts, all local to our area, speaking about their subject of expertise. What a great way to celebrate our diverse and talented community! You’ll learn about everything from the creative process to self-empowerment to the life of Scott and Zelda Fitzgerald. Details are below. Registration is required. Come to one or come to as many as are of interest to you! If you are a parent, teacher, mentor or anyone who interacts with teens, your ongoing questions are probably some version of: How do I understand the teenage mind? How can I help them transform? What makes adolescents become directed and happy? Your dilemma probably includes: How can teens learn to be realistic and hopeful, self-affirming and generous towards others? Why aren’t they more responsible, thoughtful, and kind to themselves? Are there tools that are simple and profound? Who can teach me? Who can teach the kids? 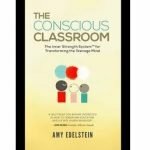 Amy Edelstein will share insights from her award-winning book The Conscious Classroom: the Inner Strength System™ for transforming the teenage mind. You will come away with a philosophical understanding and practical exercises to support your teen to achieve their higher potentials. You will also come away inspired to hear about a program that is supporting 2000 teens every year in Philadelphia high school classrooms. Amy Edelstein is a powerful communicator of ideas and beliefs that can help us transform ourselves and the culture we live in. 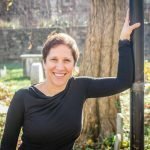 A proud resident of Center City, Philadelphia, Amy established the Inner Strength Foundation in 2014 to help empower our next generation of leaders with life-long tools of mindful awareness, systems thinking, and deeper care for self and other. The Inner Strength teen program, a 12-week in-school curriculum has trained over 5000 teens in Philadelphia Public High Schools to date. Syracuse University’s multi-year research study on the program is showing significant impact, and school teachers, counselors, and administrators are moved by the results. As one Bodine junior said, “I learned how to be objective about my thought process and how to be aware of the positive impact I can have on others!” Ms. Edelstein is also cofounder of Emergence Education Press, which publishes philosophical books and transformational programming. 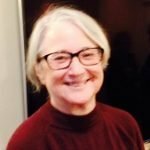 She has thirty-five years experience with contemplative practice and is the author of five books. Her most recent The Conscious Classroom received an Independent Publishers Award for excellence in educational writing. Cheltenham is known for its beautiful old homes. But those of us who live in them know that old houses require a lot of work! Your house may have what they call “great bones,” but it may still sometimes need fixing up or the space plan may need to be re-imagined to function well for you and your family. Interior design expert Amy Cuker, owner of down 2 earth Interior Design, will present some useful case studies with suggestions on how to address some of your home challenges, including what’s easy to DIY, and when you need other professionals. She’ll recommend her favorite interior design books to help you make your home space beautiful! 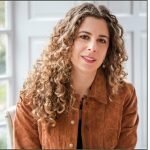 Amy Cuker is a Philadelphia-area interior designer with over 20 years of experience designing buildings and educating young designers. Amy Cuker has passed the National Council for Interior Design Qualification Exam and is a Leadership in Energy and Environmental Design (LEED) Accredited Professional. As an Associate at Design Partnership of Cambridge (DPC), Amy managed interior design projects, million dollar furniture and equipment budgets, and marketing initiatives for a wide range of clients, including public schools, libraries, and universities. 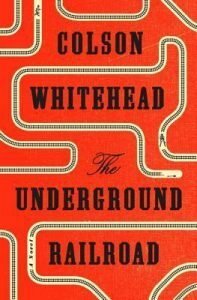 Why does this literary couple continue to fascinate us? Scott & Zelda lived fast and wild, hobnobbed with celebrities and other literary luminaries, drank too much, and burned out early. And yet their legacy lingers, along with questions about Zelda’s writing and mental illness, and about what their relationship was really like. It’s the stuff of ongoing fiction and film! In this talk, we will provide a timeline of their lives and talk about behaviors and events that occurred “between the lines.” We will also discuss three short stories: “The Iceberg” a short story by Zelda, “The I. O. U” by Scott and conclude with their jointly written “Auction – Model 1934” which could be interpreted as a summary of their marriage. Diana Lamey was born in Keokuk, Iowa and grew up on a farm eight miles west of town. She attended a one-room red brick schoolhouse for grades one through eight. A fond memory is the teacher reading aloud every day usually from novels. She received a BA from UNI at Cedar Falls, and attended graduate school at U of I. Iowans who leave home tend to move west. Diana followed suit finding an elementary teaching position in Carlsbad, CA where she met her future husband stationed at nearby Camp Pendleton. He was from West Oak Lane, hence, their eventual settling in Elkins Park. Meanwhile, Diana has taught in Florida, Okinawa, and Philadelphia, concluding her career as elementary librarian in Cheltenham. She has reviewed children’s books since 1976, and currently volunteers at the Jenkintown Library. As for her friendship with Penny, Jones, four decades may seem like a long time to be members of a book club, but Penny and Diana have enjoyed the monthly meetings over the years to read and discuss a wide range of fiction and nonfiction. Two years ago in conjunction with Montgomery County’s initial “One Book, One County” program, they volunteered to lead a book discussion of The Boys in the Boat at Jenkintown Library. Several participants wished to continue so the group decided to meet quarterly reading Seabiscuit followed by The Great Gatsby. Researching the author in preparation for our meeting led to a continuous fascination and study of the famous couple and their works. Trust builds good relationships and makes personal and business transactions possible. If trust ceases to exist, relationships falter, businesses stall, and health suffers. 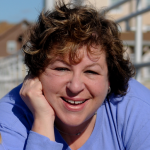 Through stories and examples, Lea Brovedani teaches valuable lessons on how to increase trust… for individuals and organizations. For the past 15 years Lea has been working with clients across Asia and North America delivering programs that target specific areas of concerns and needs. From 2011 to 2012, Lea spent a year in Mumbai, India delivering programs to clients throughout India, Singapore and Indonesia. In late 2012, Lea moved to Philadelphia. It was here that she completed her book TRUSTED – A Leaders Lesson and resumed her work showing leaders how to trust and be trusted. Is Science Fiction real science? How much real science goes into movies like “Gravity,” novels like The Martian, and television shows like “Doctor Who”? David Bernstein is both a data scientist and a science fiction writer, and he’ll explain the science behind popular narrative concepts like time travel, lightsabers, AI, genetic mutation, asteroids, cyborgs, black holes, alien invasion, the zombie apocalypse, and more. Learn about relativity through Orson Scott Card’s Ender’s Game and the movie Interstellar; black holes and wormholes in connection with Contact and Planet of the Apes; theories about the origin of life as reflected in Battlestar Galactica, Star Trek: The Next Generation, and The Hitchhiker’s Guide to the Galaxy; computer science and artificial intelligence in reference to A.I. Artificial Intelligence; and much, much, more. 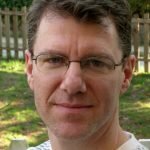 To support his writing addiction, David Siegel Bernstein, Ph.D., is a data scientist who consults as a forensic statistician. That sounds really boring until you realize that his clients include the US National Security Agency (NSA), the Secret Service, the FBI, the Department of Justice (DOJ), and a host of other acronymonious agencies who cultivate exciting and shadowy reputations. Alas, those reputations are mere facades that disguise the real reason these organizations exist, which is to keep David entertained and fed. When David wants a break from this spellbinding work—and to drown out the memory of appearing on TV with Bozo the Clown when he was four—he writes science fiction and other types of stories. His credits encompass two novelettes and nearly sixty shorts. Fifty of the stories have been published in periodicals such as Science Fantasy, Kalkion Literature and Science Fiction, Cosmic Crime Stories, and Kaleidotrope. We’ll talk about Hollinger’s creative process and how and where he finds inspiration (and what inspiration means to him) for the plays he writes.With two new plays receiving local premieres this spring — Sing the Body Electric at Theatre Exile and Hope and Gravity at 1812 Productions — Hollinger will talk about this latter play and its connections to linked short stories in works of fiction (such as Olive Kitteridge) and film (such as Crash, Magnolia, Pulp Fiction, Babel, and the movies of Robert Altman). Michael Hollinger is the award-winning author of two dozen plays, including comedies, dramas, musicals, translation/adaptation, and plays for children. These works, many of which premiered at Philadelphia’s Arden Theatre Company, have enjoyed numerous productions around the country. Following its off-Broadway run, Michael’s play OPUS became one of the most-produced plays in America, garnering numerous awards. A new musical TOUCHTONES (co-authored with composer Robert Maggio) premiered at Arden Theatre Company in 2017. Michael holds a Bachelor of Music in viola performance from Oberlin Conservatory and a Master of Arts in Theatre from Villanova University, where he is Professor of Theatre. He is a proud alumnus of New Dramatists, and shares a life with his wife, actress/teacher/ director Megan Bellwoar, and their children Benjamin and Willa. Do you find yourself searching for more purpose in your life, either personally or professionally? Are you finding it harder to get up every morning? Has life become vanilla and you want more flavor in your life? 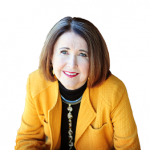 Join this interactive presentation with Certified Professional Coach, CPO, (Chief Play Officer) and expert, Jill Magerman, as she discusses “Knowing Your Why.” Finding your purpose is the key to living a life of passion and fulfillment. With my coaching passion and skills always being at the core of my work, I am excited to have expanded my individual coaching practice to include teams, couples and relationship coaching and my celebrant business. It’s all about being the best that you can be and living life fully. I love bringing this philosophy to my inspiring speaking engagements and to the workshops that I design and co-design with my partner, Sandra Olper through our new “spin-off” company, ME to WE Coaching and Consulting. Our new website is under construction. I’m known for often saying, “life’s too short”, in fact one of my signature talks is entitled, “Life’s Too Short for Uncomfortable Underwear” and that phrase has become my mantra.